Home / ChatBot / Technology / Where to Get Chatbot Training Data? Where to Get Chatbot Training Data? 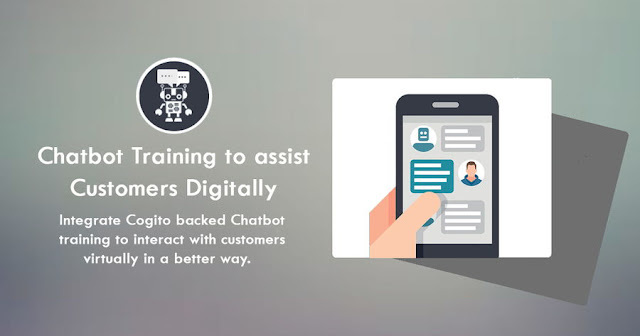 Chatbots are nowadays playing an important role working as a virtual customer assistant helping them to solve their queries and answer their questions. Chatbot is developed with the help of AI-oriented techniques to use the training data in machine learning and make the chatbot understand what people are saying to it, and to know what to say back them with satisfying answers. Chatbot training data basically entails the common questions and their best suitable answers or similar questions having the same solutions to give the users best results. The chatbot training data is applied with the help of right algorithms and natural language processing methods to make the chatbot can understand the human language and reply with appropriate answer. Why a Training Data Is Important? The training data is the source from where chatbot learns the types of questions commonly asked by the customers, it helps to understand the synonyms, similar meanings, and the way of asking questions by different people and how people respond the answers. The AI-backed chatbot also learn the behaviors of the customers while chatting with them and also improves the answering skills to further improve its service and make interaction with humans interactive. Find the right training is a challenging task, and if you don’t have a quality sets you cannot develop a right functional chatbot application. The quality and accuracy of data sets depends on the collection process and source from its gathered by the data scientist. Hence, you need to find the suitable training data sets that are collected from reliable sources. Actually, when you use such training data you have to label the data with right annotation to make it understandable to machines working on developing such models. Where and How Can I find Enough Data? There are number of resources you can get training data but you need to make sure it is authenticated and comes from reliable resources. Apart from various other leading high-costing service providers you can choose Cogito for chatbot training data. Cogito is an expert in providing high-quality training for machine learning. It is also supplying training data sets for AI-oriented chatbot and virtual assistant application development needs. It has well-developed infrastructural facilities and research centers to collect and classify the data for chatbot training while marinating the quality to keep the accuracy at highest level. You can best chatbot training data set at Cogito available at best pricing and timely delivery.